Keeping a restaurant up and running and profitable is no easy task. It is estimated that one in five restaurants will close within two years time, so it’s no wonder that tax issues can be pushed to the side when you’re working hard just to keep the doors open. Unfortunately, these five top tax mistakes can cause even more damage if not correctly quickly. 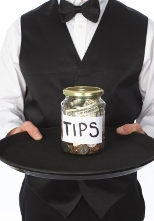 Tips may keep your wait staff happy, but the IRS still wants their cut. There are specific rules and requirements that both your employees and you have to follow. For example, the total tip income reported for a pay period must equal at least 8% of sales. In addition, it is your responsibility to collect and report social security, Medicare, and income tax on tips. Because many restaurants deal in cash, it can be tempting to deposit less than $10k at a time to avoid having to fill out a Currency Transaction Report, (CTR). Too often, business owners feel that filing a CTR will raise a red flag, but the opposite is actually true. If you structure your deposits, so they are less than $10K, you will quickly gain the attention of the IRS and possibly other government agencies. In addition, avoiding the CTR is a felony. It can be tempting to classify your employees as independent contractors to avoid taxes, but this will catch up to you. A business owner can’t make this type of classification on their own. The IRS rule comes down to whether or not your employee is under your control and direction. If so, they are an employee and not an independent contractor. To classify them incorrectly can lead to heavy penalties. If you’re having trouble paying vendors or your lease payments, it may seem like a good option to put off paying employment taxes. This is always a mistake. You will be liable for IRS penalties not only as a business but also as an individual. This debt cannot be discharged in a bankruptcy. This is one area where the pain comes from losing possible deductions instead of being penalized by the government. By keeping good records, you can take full advantage of business tax deductions. This can be the difference between being in the black or falling back into the red. 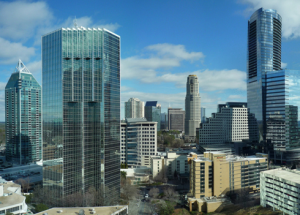 If you are tired of overpaying taxes and worrying about tax compliance, then call 404-504-7051 and ask for John Charles. Roe CPA makes life easier for hospitality businesses, everything from tax compliance to financial reporting to accounts payable. Our hospitality accounting expertise helps us better service hotels, restaurants, brew pubs, bars, and golf courses.